While the process of selling your home is not necessarily an unsafe one that does not mean you shouldn’t be taking safety tips to protect your loved ones and personal belongings. Some of these tips have dual purposes too in that not only do they help increase you safety during the time your home is on sale but also serve a purpose in making your home more appealing to buyers. 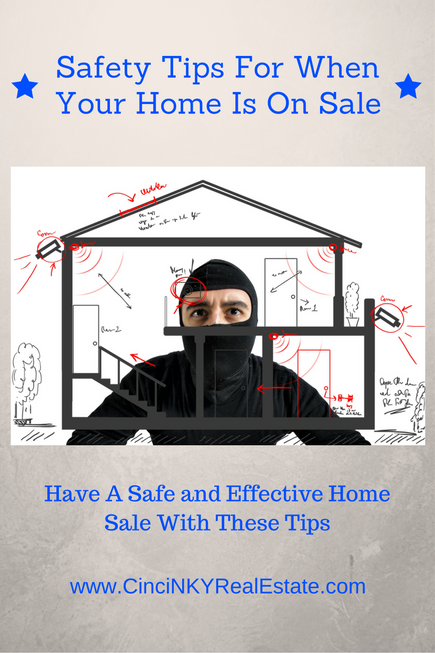 By following these tips you can better protect yourself and ensure a smooth home sale process. This is one of those areas as noted above where putting away your collectibles and valuables means more safety and security for you and improves the look of your home for buyers. 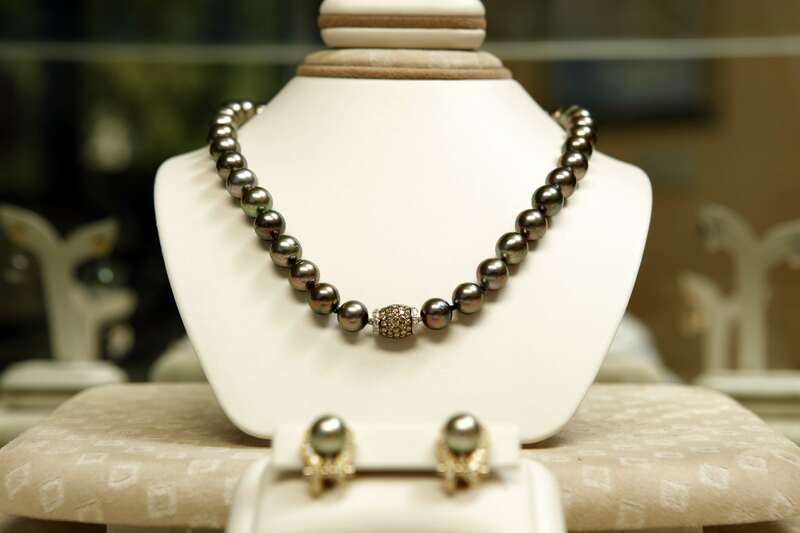 Your valuables and collectibles need to be put away to keep them out of sight from envious eyes who might think they look better with them than with you. Maybe most of the buyers in your area are honest and will leave your valuables alone but that does not mean their kid’s might not think your classic model car collection does not look fun to play with. Anything valuable or pricey needs to be put away, preferably stored outside of the house where it is not seen. Part of the putting away of collectibles relates to the decluttering step that is recommended for homes being put up for sale. In addition to there being a lower chance of theft when the valuables are put away the space looks more open with fewer things in the home. Buyers need to imagine themselves and their belongings in the home, with fewer items and valuables around to distract them they have a better chance of doing just that. From a safety stand point depersonalizing your home means removing family pictures and anything that makes the home unique to you. The removing of pictures is especially important since you don’t want random strangers looking at pictures of your family. Some of those pictures might give away favorite places you like to go, favorite things you like to do and more. During the home sale process many different buyers are coming and going through your home, while most have no malicious intent there is no need to expose your family to anyone who may be looking for something else other than a home. From a home showing standpoint depersonalizing means keep out the aspects that make the home unique to you. Buyers need to be able to put themselves in the position of living in the home and things like pictures, kids artwork, trophies and more show your personal touch to your home. Without the distraction of photos and other personal items buyers can better envision putting their own belongings in and around their new home. One of the best ways to ensure safety and to make sure random people are not walking through your house is to work with a Realtor when you want to sell your home. One of the duties Realtors perform include putting your home on the Multiple Listing Service (MLS) which sets the conditions under which other Realtors can visit your home with potential buyers. These same restrictions are not usually available when selling For Sale By Owner (FSBO) and home sellers selling their own home might not know how to properly screen buyers to make sure they are real buyers and not window shoppers. Most home buyers coming through with their own Realtor will have been screened and have gotten a mortgage pre-approval which means they are ready and able to buy your home if they want. When unrepresented buyers contact your agent about your home for sale your agent will screen these buyers to make sure they are serious buyers and will inquire about their financial ability to purchase the home. As a For Sale By Owner you might not have the ability to determine if a buyer walking into your home is pre-qualified with a mortgage lender or has the cash to buy your home without a loan. You can take the extra steps to require every buyer who walks through your FSBO home to show proof of pre-qualification or proof of sufficient cash funds but then how do you know the documents provided to you are real? The documents could be fake documents created on someone’s word processing program. Also how many buyers will decide not to comply with your request to show pre-approval or proof of funds in their bank account and just move onto the next house? Buyer’s agents on the other hand are working with buyers who want to buy a home as well as lenders they know, trust and will be in constant contact with both their buyers and the lender in order to make sure everything stays on track. Realtors have access to electronic lock boxes that they use to allow other Realtors to access your home with their buyer’s when you are not around. The electronic lock box tracks who accessed the home and at what time the home was accessed thus providing accountability for when Realtors and buyers are entering your home. The electronic lock boxes are only accessible by Realtors and other members of the local MLS board like home inspectors and appraisers. As a FSBO you have to be present for every home showing with any buyer who happens to call you or show up at random times during the day to view your home. During an Open House your home is opened to the public for viewing with the hopes that one of the people who show up and view the home will be a buyer for your home. Unfortunately what usually happens is people come to see your house, how you live, what kind of stuff you have and maybe even for the free food or drinks if there is some. Yes in certain very fast moving markets a buyer who ends up buying your home may have visited your home first through an open house. Usually though if they really like your home they will try and visit your home a second time before making an offer. The reality is most buyers are ready to go when your home hits the market in a fast selling area. Buyers will want to see your home the same day or same week it is put up for sale if it is priced right and properly prepared. Even in a slower moving market open houses rarely sell homes, in fact open houses only account for less than 6% of home sales in general. Open houses are more a tool for Realtors to acquire buyer leads than to help a home sell. Where in most normal showing circumstances a buyer will come through your home with a Realtor who usually has screened the buyer and should have even helped them get pre-approved for a mortgage the viewers in an open house are completely the opposite. Open house viewers have not been screened by anyone, may or may not be pre-approved for purchasing your home or may even just be driving around looking for things to do. Amongst those open house viewers there also can be criminals looking for easy things to steal while the house is open or they may be scoping out your home learning where all the good things are for when they come back during some less busy time. By opting not to have open houses you do not lose much exposure when it comes to buyers. Those who like the look of your home on the internet will be ready to visit in person with their Realtor and make an offer if the house is the right fit for them. With the price of internet security cameras being as low as they are now, installing those security cameras in and around the house can be pretty cost effective. These cameras can record and provide live internet streaming of what is going on in the house. While cameras are a good idea for security purposes, using them to spy on buyers as they come into your home to see what they think could cause problems. If you do have security cameras in your home you should ask your Realtor to disclose that fact to any buyers who walk through. Buyers on the other hand and their agents should never expect that their conversations in a home are private and should refrain from discussing their desire for a particular home until they are outside of the home. Buyers giving away their strong desire to purchase a home via security cameras could be giving up negotiation advantage that can cost them more money in the short term. If you have a home security system you should be using it at times when there are no showings. 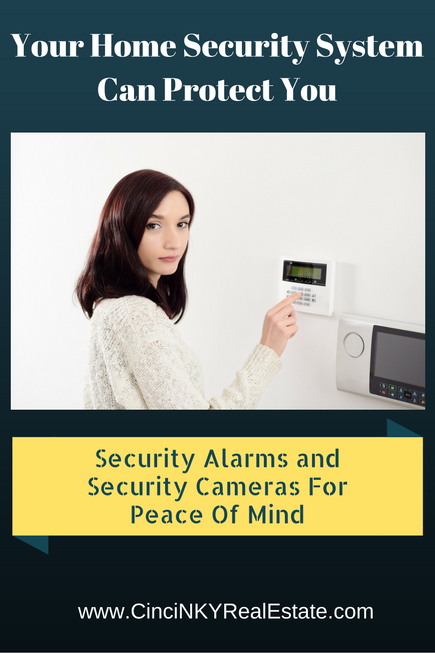 Make sure your security system is functional and that you have a monitoring service that can call the local authorities in the event the alarm is triggered. If you leave your security system on most of the time you will need to provide your Realtor with a code to disable the system. Your Realtor will provide that code to Buyer’s Realtors in order they can turn off the system and view the home. Your alarm monitoring company may be able to provide you with temporary disarming code that you can change on a regular basis. If the alarm company cannot provide you with temporary codes then you should regularly change your alarm code with a new one. An alternative would be to leave the alarm off during times when you know a showing is to happen. Remember though you do not want to make showings harder than they should be for buyer’s as if showings are too hard with too many alarm disarming steps to jump through they may just decide not to see your home. For the most part selling your home is a safe activity with many professionals staying alert and on the lookout for those who are not interested in really buying your home. At the same time by taking some extra precautions on your own can ensure you leave no gaps where someone meaning to do harm can take advantage. About the author: The above article “Tips For Selling Your Home In The Fall” was provided by Paul Sian. Paul can be reached at paul.sian@herrealtors.com or by phone at 513-560-8002. If you’re thinking of selling or buying your investment or commercial business property I would love to share my marketing knowledge and expertise to help you. Contact me today!